Carol Sergeant CBE has been announced as the new Chair of the Cass Global Women’s Leadership Programme Council. Carol, a Cass alumnae (MBA, 1982) replaces Lady Barbara Judge, who has completed her one-year term as the inaugural Chair, helping successfully launch the programme. The Cass Global Women’s Leadership Programme inspires, equips and connects women throughout their career – from undergraduate to postgraduate to alumni and beyond. It inspires by fostering ambition through events with stimulating speakers. It equips by helping women develop skills, competence and resilience, either through workshops or by offering financial support to study at Cass. It connects via networks, groups and communities supporting each other. Programme Director Dr Canan Kocabasoglu-Hillmer said she was delighted to welcome Carol as Chair of the Leadership Council. Professor Marianne Lewis, Dean of Cass Business School said the Programme scholars and women from across Cass would be able to benefit from Mrs Sergeant’s wealth of leadership experience. Professor Lewis also thanked Lady Barbara Judge, who has finished her one-year term as inaugural Chair of the Council. Carol Sergeant has held senior positions in the Bank of England, Managing Director on the Board of the UK Financial Services Authority, Chief Risk Officer of Lloyds Banking Group and positions on the boards of several charities and companies. She is currently deputy chairman of Danske Bank A/S (Copenhagen), and a non-executive and chairman of the Risk Committee at both TP ICAP, the world’s largest inter dealer broker (London) and BNY Mellon Bank SA/NV (Brussels). She is chairman of the British Standard Institute’s Standards Strategy and Policy Committee and was previously a non-executive director at Martin Currie (asset management) and Secure Trust Bank. . In the charity sector she was for many years chairman of the UK whistle blowing charity, Public Concern at Work. She is currently a trustee of the Lloyds Register Foundation (which owns the Lloyds Register Group), trustee and member of the Governing Council of the Centre for the Study of Financial Innovation and an ambassador for the Money Advice Trust. 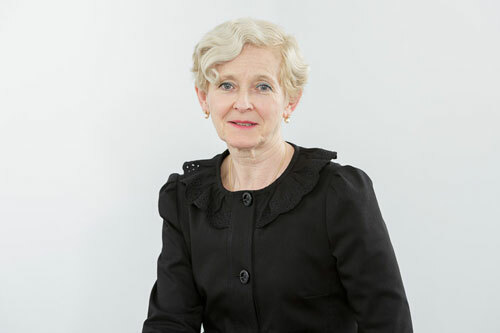 She has led and participated in projects and reviews for UK Government and the EU Commission on financial services and regulation and has been on the boards of a number of universities.